Folks, Christmas is right around the corner, and if you’re still struggling to find the perfect gift for the writer in your life you only have to scroll down! As late as you are at looking for gifts, I’m late for getting this guide up. We’re a match made in heaven! So, this is the time to scroll down and take a gander and what we’ve dug up for you to buy your fellow authors this year! Disclosure: Our articles may contain affiliate links. If you purchase something through the links in this article, we may receive a small commission or referral fee. This happens without any additional cost to you. First up we have an awesome lap desk which is perfect for reading and writing while in bed! It is all set for a laptop, notebook, or whichever novel you might be using at any given time! Many of us suffer from poor time management or could really use ways to improve it. Enter, the Speculative Daily Planner! It was released recently by Crystal Lake Publishing for those who needed a little more help in organizing their days. The last inclusion here is a bit on the pricier side. However, if the writer in your life is worth it and you have the mean they may very well be interested in this keyboard! Perfect for desktops, laptops, and tablets this keyboard will give any writer the feel that they’re pounding away on a typewriter while working on their next book! The First Lines Literature Coffee Mug not only is perfect for serving yourself your favorite coffee or tea but it also has some of the most memorable first lines in literature. Get inspired by some of the best openers ever written! 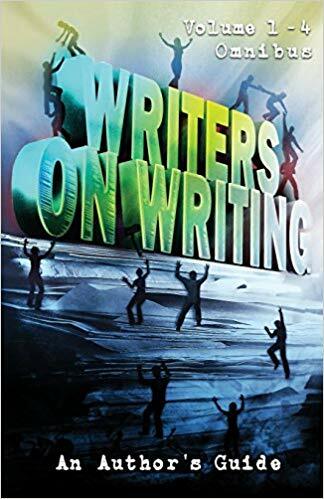 If the well sometimes runs dry for the writer in your life, you might want to help them by offering up ‘642 Things to Write About’! This includes some extremely random writing prompts which should get the creative juices flowing. A game which can help with a key problem is ‘The Writer’s Toolbox: Creative Games and Exercises for Inspiring the ‘Write’ Side of Your Brain.’ This offers multiple ways to unlock your creativity, and is great to have around if that dreaded Writer’s Block hits! No matter how disciplined a reader is, we’ve all suffered from making the mistake of claiming that we’ll go to bed after “just one more chapter” and this pillowcase is just trying to encourage you to do the right thing. Having a party or get together with some fellow authors? The Storymatic not only is a useful tool for writing but offers a game you can play with your friends as well! The perfect party game to break the ice and potentially get the creative juices flowing! As mentioned above, most writers out there love their coffee or tea. However, where are they going to put that cup that gives them the energy to type away all day long? How about a coaster which is fitting for the writer in your life? Our store might not be officially set up yet to the public or look that great but you can check out some great shirts and more from Horror Tree at Our Official Store and order them. The look will be drastically changed when this shop goes live, but I wanted to make sure that you knew the option was out there. There is one other outlet as well you could look into. Much as Horror Tree has a Patreon you can donate to, there is a good chance that you can donate to your favorite author this way as well! Even a dollar a month can make an impact on an author’s output as fans show their unwavering support. So be sure to search the site or their webpage for a link to see how you can help them out! I hope that at least one of these ideas may have caught your eye to get for a friend or add to your own wishlist! I’ve seen a couple of different models of that keyboard. Looks pretty sweet.